Product designs that are functionally smart and hold the aesthetic appeal grab the attention of all. Indeed designers seem to have made up their minds to leave us all dazed with innovative designs. This is not the first time that we are talking about unique smart product design. However, each product we introduce to you is simply the best. Kitchen is one area of the home that challenges home owners to include smart products that blend practical functionality with ergonomic design. 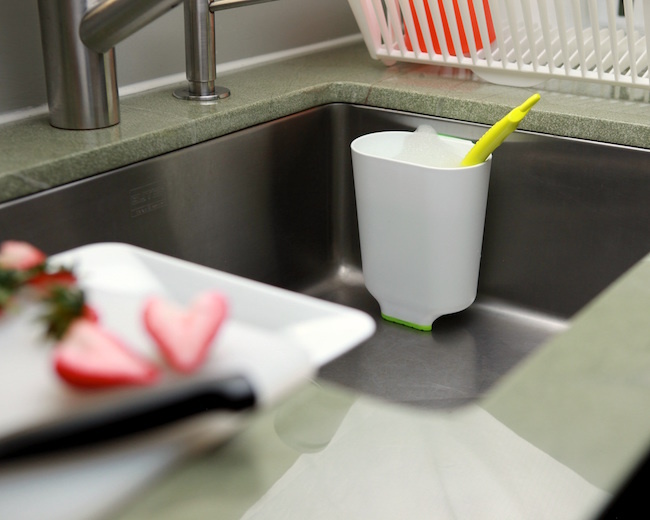 Designed to simplify your kitchen tasks is a new product called INSINK. 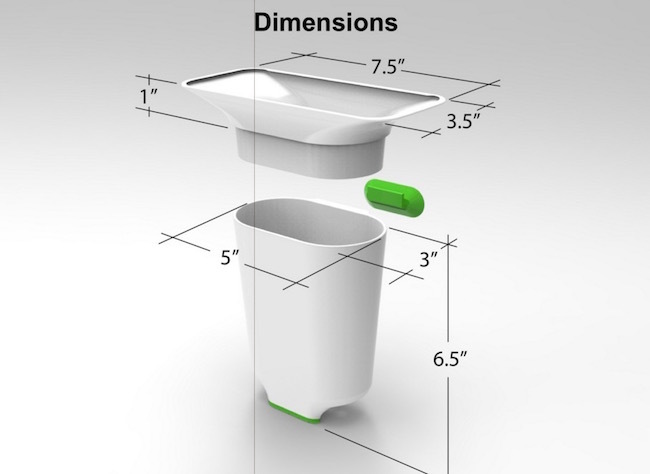 It is a 4 in 1 product featuring the Katcher, Kaddy + Kup that promises to help users heave a sigh of relief. 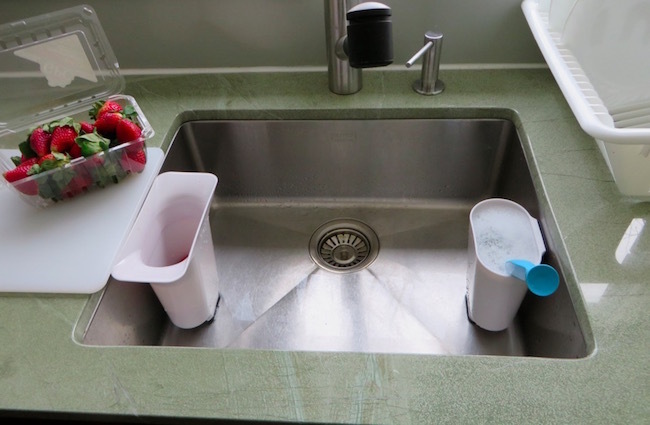 Seeing the sink filled with dishes, scooping out food scraps from the sink, or draining your sink to replace dirty water are one daunting task which we all shun. But what other options do you have? 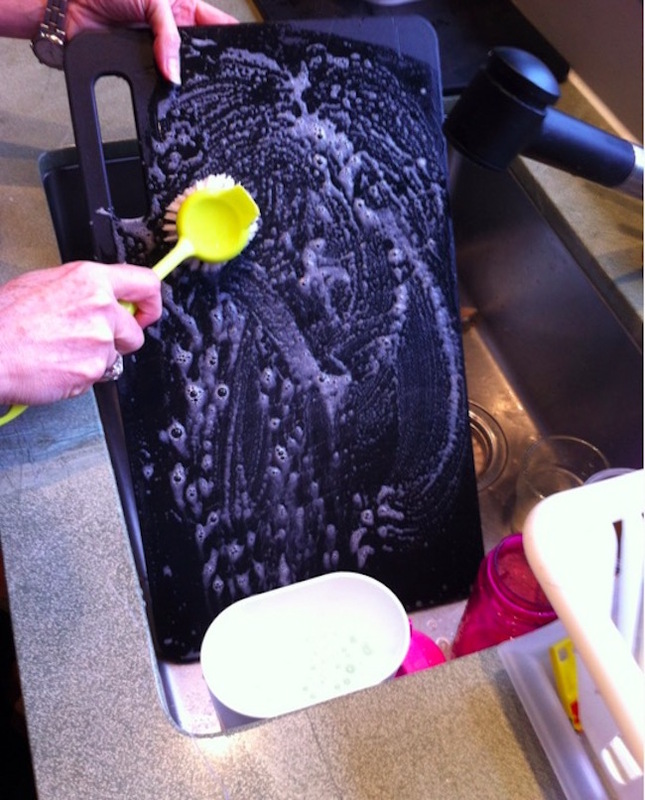 Stay at home dad, Tonis Tollasepp seems to have understood this problem and came up with this lovely product that lets you pre-wash dishes so you can run the dishwasher using the short cycle saving water, time and energy. 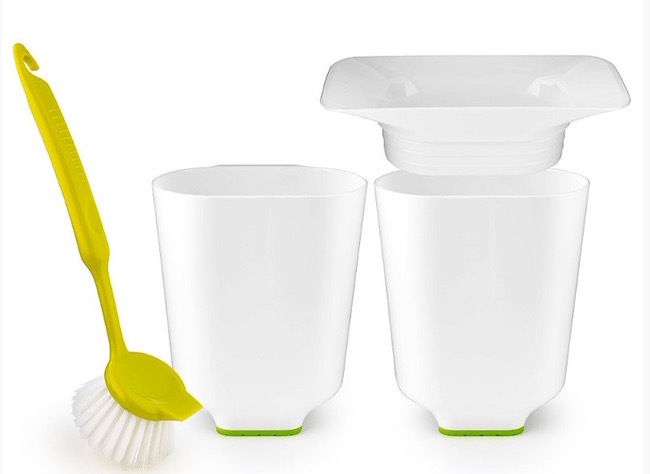 It is a combination of three products that nest together for storage are 100% recyclable and do their jobs smartly. 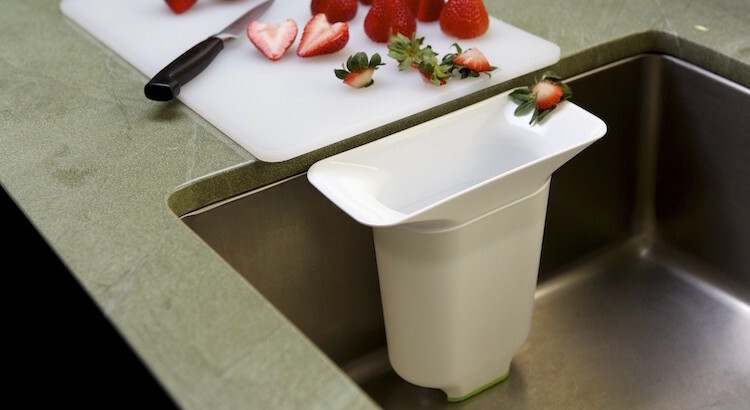 This all new kitchen gadget simplifies kitchen workflow from food preparation, to dishwashing and clean up while saving your valuable time, water and energy. 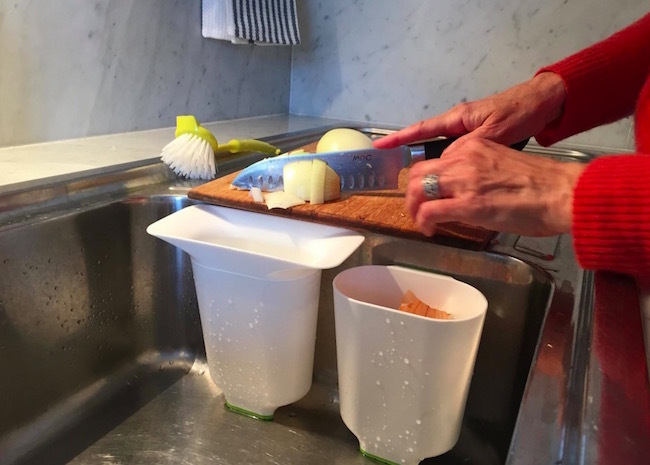 As already mentioned INSINK is a 4 in 1 system that incorporates the Kaddy (can be used as a colander or for storage), Katcher and Kup (can collect food scraps or hold soapy water). 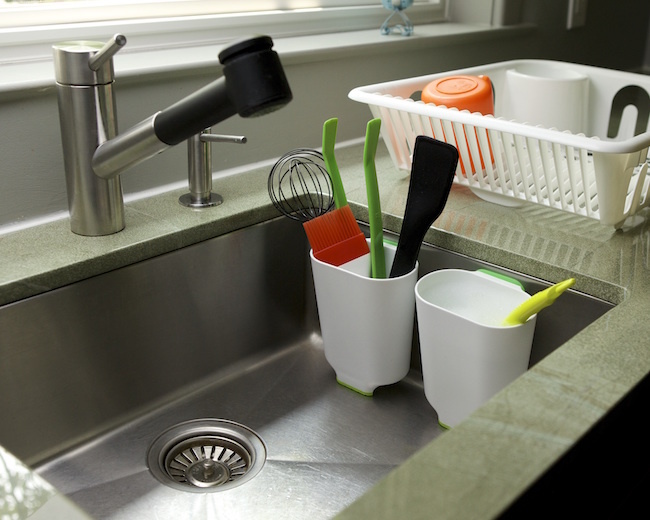 These all can be used in combined form or individually to free up space in the sink, enabling you to clean up dishes faster and more efficiently. 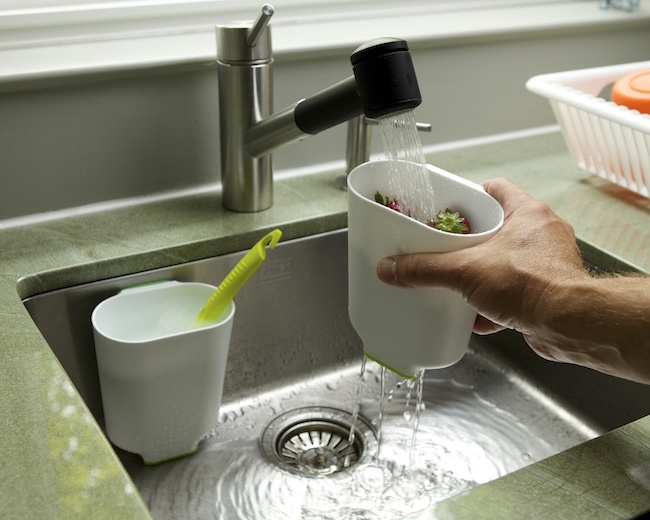 The product system helps streamline your everyday activities at the sink. 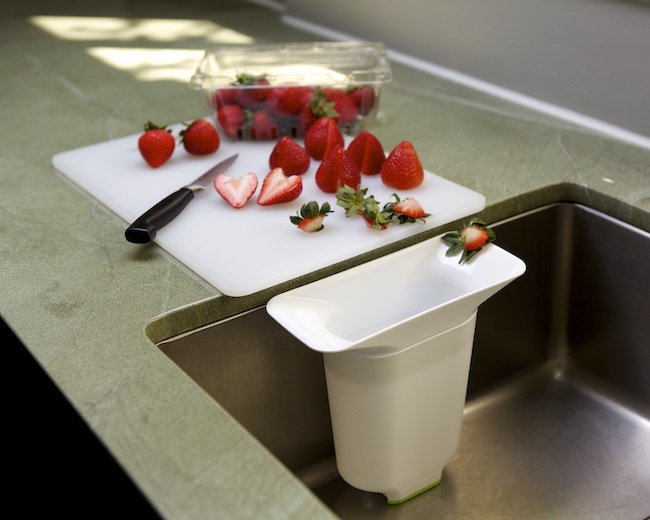 It allows you to avoid filling your sink with soapy water; collect food scraps in one container; streamlines food preparation and dishwashing, clears up space in your sink and cutting board; saves your time and money while conserving water, soap and energy; optimizes washing styles and is great for use in your home, condo, apartment, cottage, vacation property or RV. 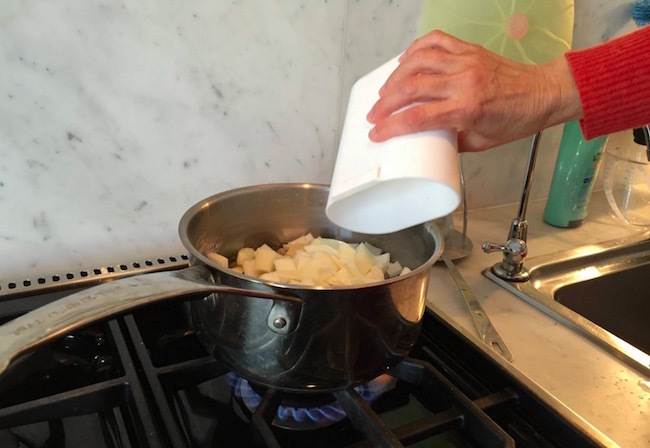 Besides all this it keeps your hands safe as knives and sharp objects always remain visible, while reducing, your skins exposure to soapy water. The video above clearly shows how INSINK does its job. 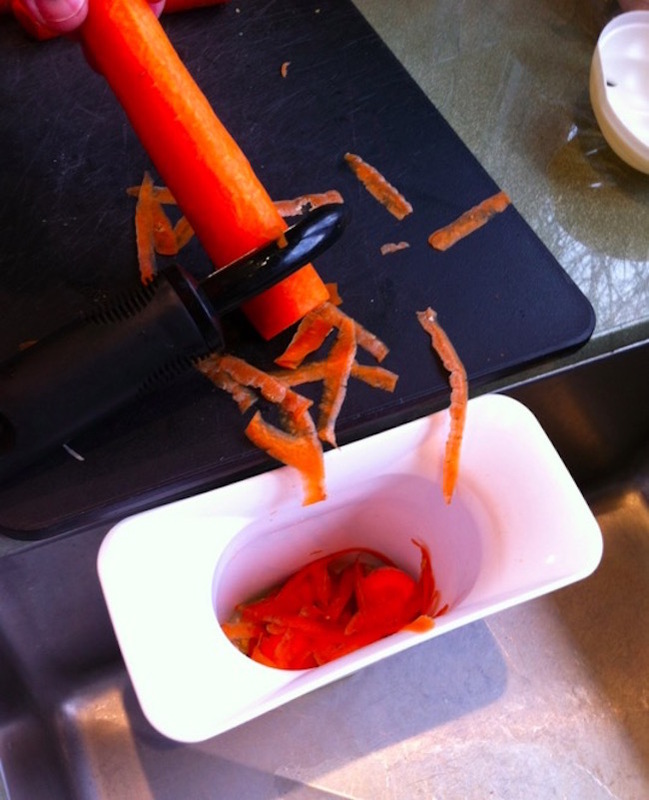 Do you need more reasons to take this innovative product design home? The best part is that with its smart functionality it helps in conserving our natural resources which is one good reason that I call it an eco-chic product. 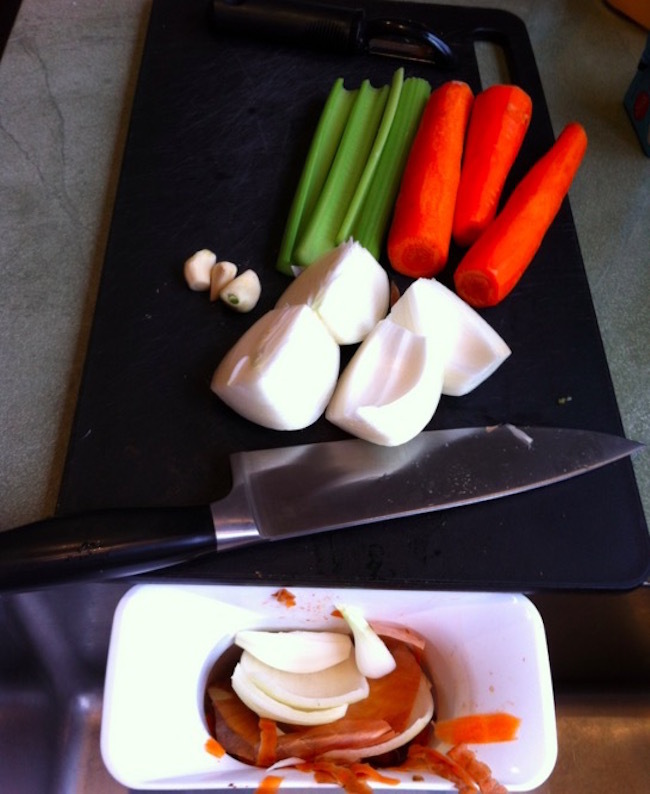 Below are some pictures that we have pinned down for you all to check out. So, what’s the wait for, take a look and decide for yourself if you want to take INSINK home. So, why wait. 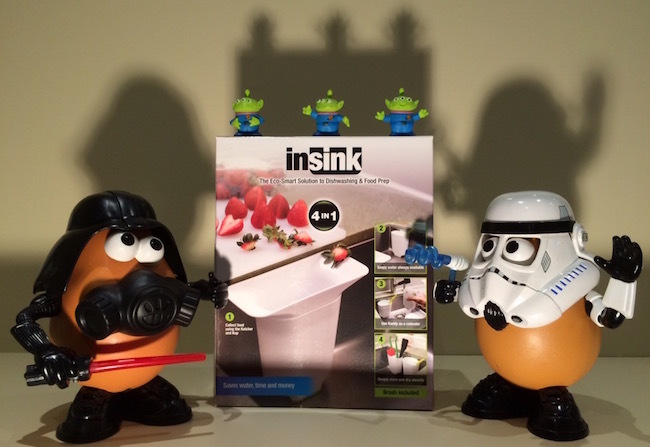 Upgrade your sink with INSINK 4 in 1! 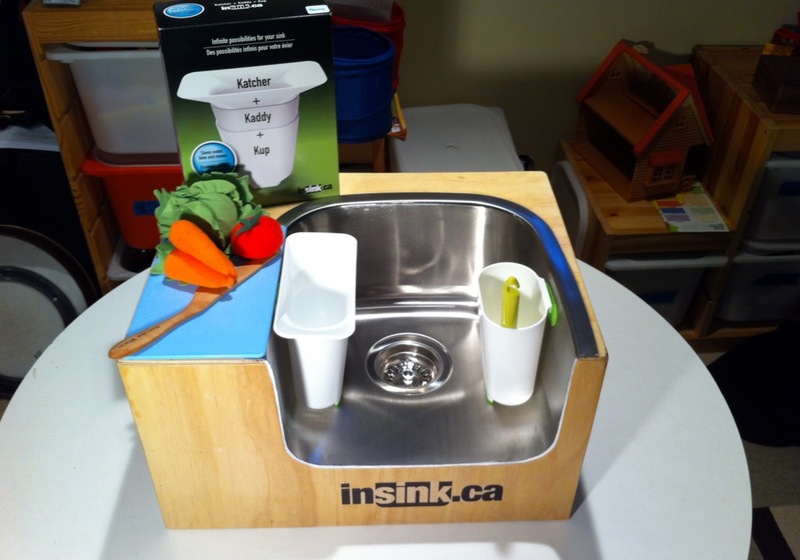 You can buy the smart INSINK kit for $19.99 on-line at insink.ca. I assure you won’t have any reason to leave it. It’s going to be my next buy. What about you? 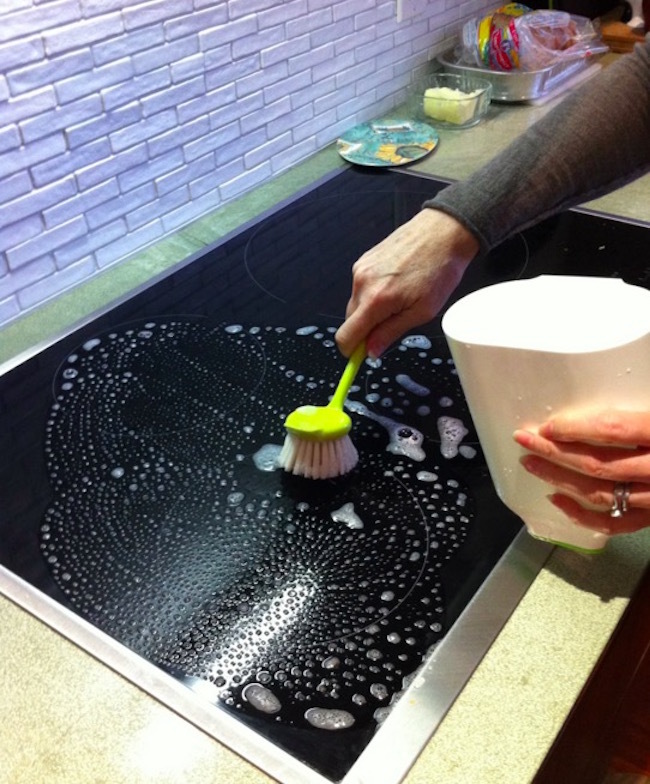 This does look like a useful product (found out about it on a ktchn comment board), but i can’t find it on amazon or bed bath beyond and that’s pretty much how i shop these days. How much is it? Where can i find it in US? I’d really like to handle it before buying, better able to see how it might fit in my weird ancient sink.